Arcade Rewind has complied this FAQ page as it wants to make sure that all our customers have years of fun with their Arcade Machines. Unfortunately manuals get lost and we all forget things from time to time, so we have complied a list of frequently asked questions regarding setting, set up and options. We will add to this as time goes on. 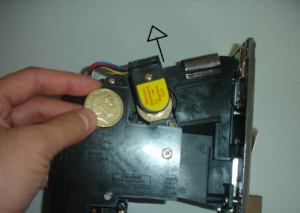 To set up the coin type enter a $1 or any other coin in the slot under the yellow sticker. 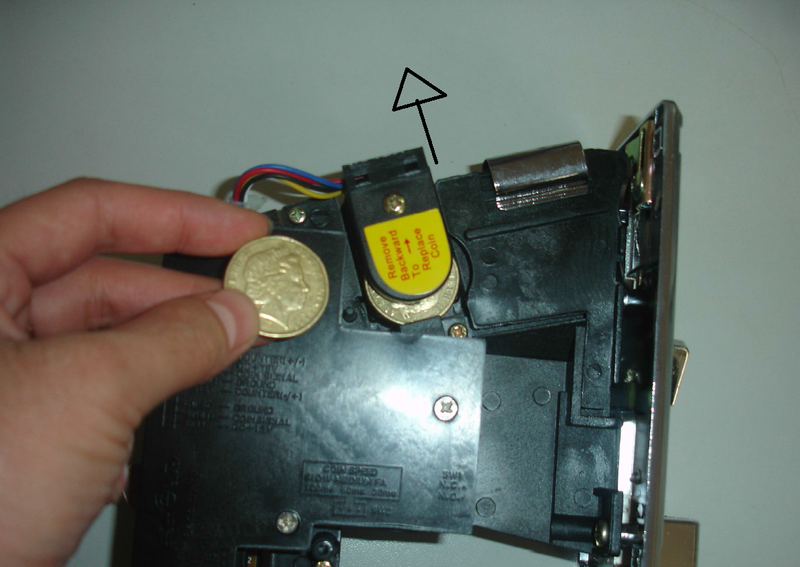 The mechanism where the sticker is located will move up and you can slot the coin under the mechanism(Orange arrow). 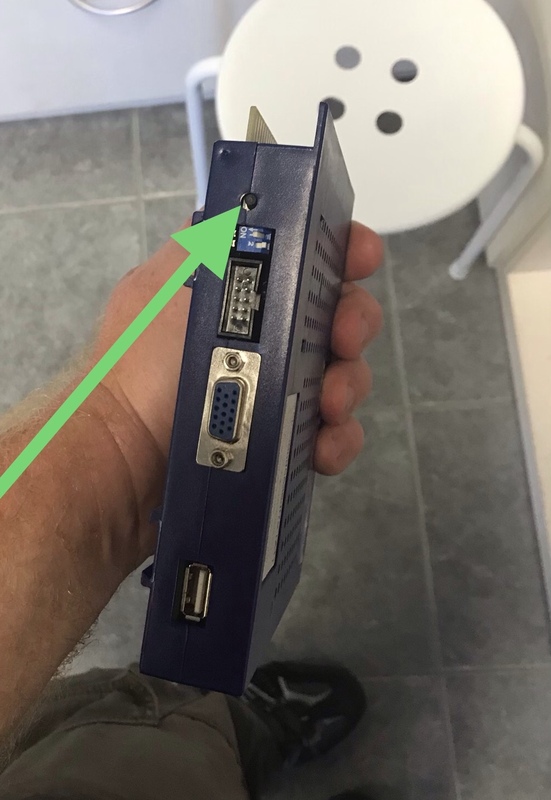 This is a counter balance type detector and what ever coin you put in this slot is what the machine will detect and accept. On our 60 in 1 machines you are able to adjust the Free Play and game settings by entering the Set Up Menu. To do this you must first locate the Board(Cocktail Machine the Board is located in the main opening, Barrel Machine board is located under P1 joystick area) Now turn the machine off, then flick switch 4(Orange arrow) towards the (*), then switch machine on. This will take you into the setting screen. Details on how to adjust settings are on the screen. You can set Free Play, turn on or off music, hide games and adjust game lifes and difficulty. 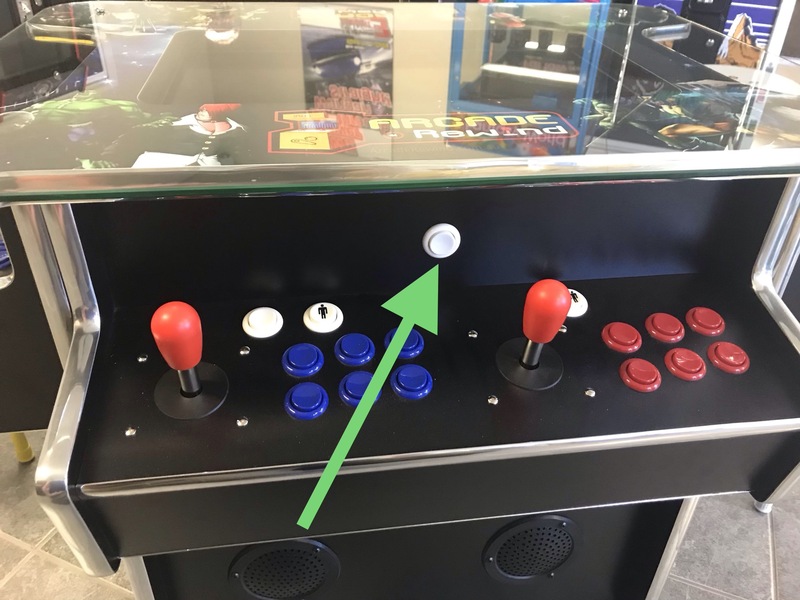 To make the Machine store your highest score flick switch 3(Yellow arrow) to the ON position. 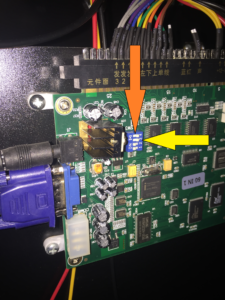 Now to make the 412 Cocktail Arcade Machine free play, you need to enter the settings when its asks you to on the screen. It tells you to press the test button to enter set up…. 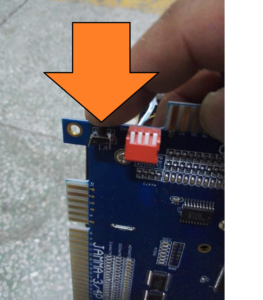 Here is the test button, you need to press it once when prompted…. if not timed well you’ll have to do it again! Ok now this is simple…. It’s already on free play you just need to press the below pictured button and hey presto credits! 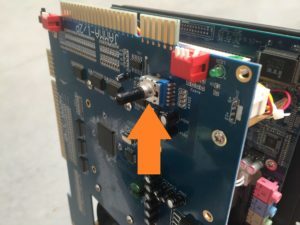 The Volume adjust on the 1505 and 2475 3 sided Cocktail Arcade Machines can be found on the board located inside the machine. 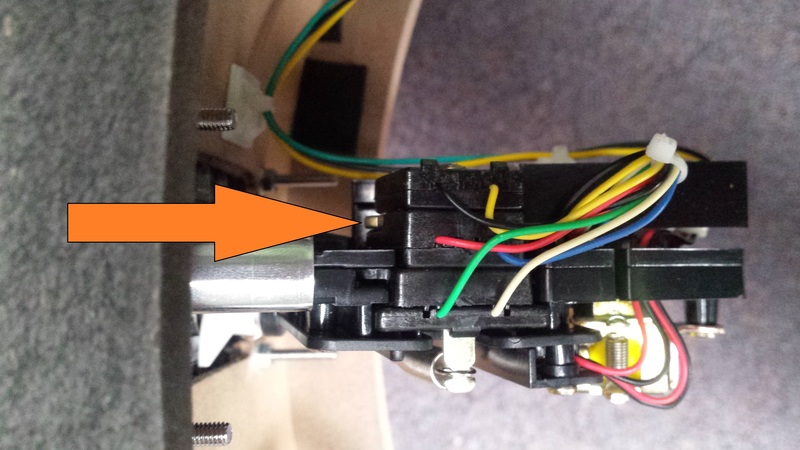 Open the large rear door on the back of the machine and you will see the board on the right hand side. 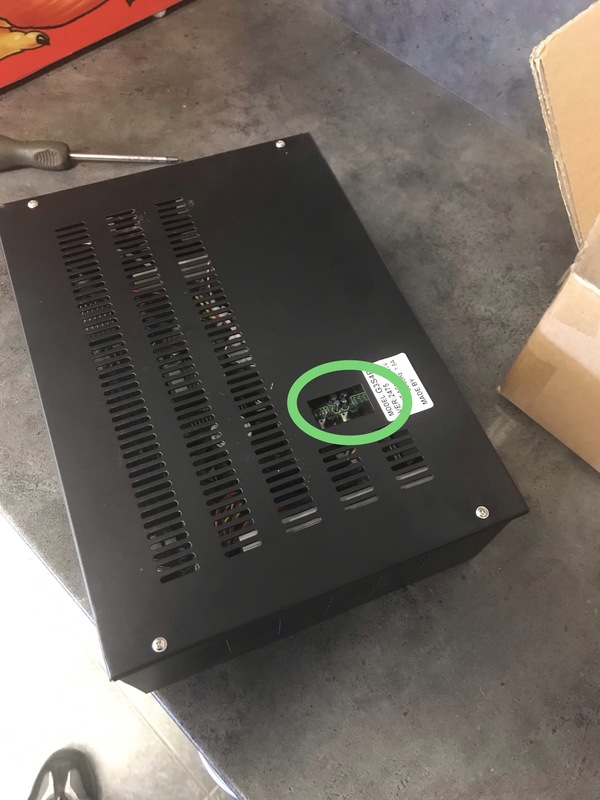 Please see the below pictures for indication of where Volume adjust is located on board. 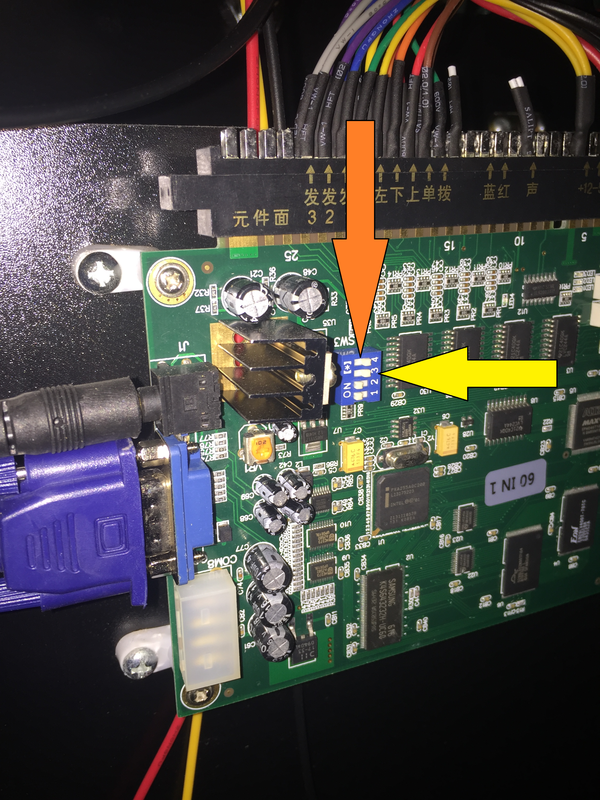 Many people ask how you navigate through so many games on our 1505 and 2475 Cocktail Arcade Machine….. Well the below video is here to help!